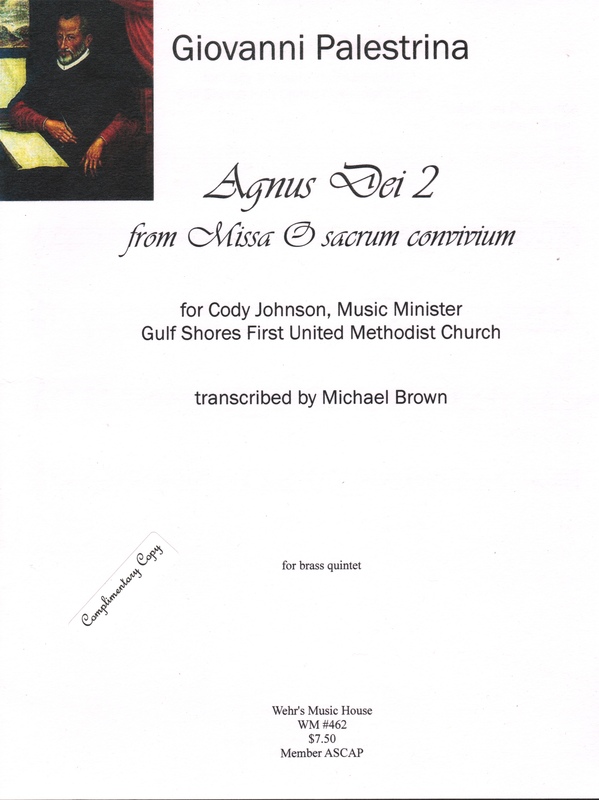 Agnus Dei 2 is a brass quintet arrangement of a mass movement. This 35-measure arrangement features imitative polyphony and rhythmically varied, contrapuntally constructed parts. The first half of the piece is marked mezzo-forte, the second half fortissimo. The arrangement is suitable for amateur musicians, a nice arrangement to have in the folder for professional, sacred engagements, adding a short brass flourish at this moment in the mass.